MP High Court Recruitment 2017 - Latest job notification for 3003 Stenographer & Assistant-III Posts in Madhya Pradesh on Regular Basis. Applications are invited by High Court of Madhya Pradesh before 05 Jul 2017 for 3003 vacancies. 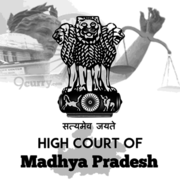 MP High Court Assistant Grade-3 Online Typing/ Main Exam Admit Card 2019: High Court of Madhya Pradesh has issued the Admit Card on 16 Jan 2019 for MP High Court Assistant Grade-3 Online Typing/ Main Exam 2019. ₹900 for unreserved applicants and applicants from other states; ₹800 for applicants from Madhya Pradesh for MPOnline Portal. For Assistant English Knowing and English Stenographer Application fee is ₹ 200 for unreserved and ₹100 for reserved category applicants. 40 Years(UR) and 45 Years(Reserved), and for liftman 35 years for Unreserved. see advt. details pdf for relaxations. Candidate must've passed Higher Secondary/ 10+2 from a govt. recognized board/Institution by Govt. of Madhya Pradesh. Passed Stenography Exam from an Institute recognized by Govt. of Madhya Pradesh OR carries C.P.CT. Exam Score Card for the exam conducted by M.P. Agency of Information Technology (MAP-IT) who has passed in Computer Efficiency and Typing. Has passed 1 Year Diploma Course for Computer Application from an Institute recognized by Govt. of Madhya Pradesh. Qualification: Candidate should have common qualifications mentioned above in qualifications section above and has Hindi Stenography speed of 100 words per minute. Qualification: Has common qualifications mentioned above and has Hindi Stenography speed of 80 words per minute. Qualification: Has common qualifications mentioned above and has English Stenography speed of 80 words per minute. Has common qualification mentioned above and has English Stenography speed of 80 words per minute and has knowledge of computer application. Qualification: Has BCA degree from a Board/Institute recognized by Govt. of Madhya Pradesh. Qualification: Passed 10+2 Exam from a Board/Institute recognized by Govt. of Madhya Pradesh. Certification for Liftman with Proper knowledge of working/managing lift. Electricians will be given preference. Visit Apply Online link below and follow instructions given in the PDF or available on website with proper required details. If you apply in more than one group you'll need to pay ₹ 100 for each separately. MP High Court Recruitment 2019 - Apply Online for 13 District Judge Posts in MP High Court, Jabalpur, Madhya Pradesh on Direct Recruitment. Online Applications are invited by High Court of Madhya Pradesh from 16 Apr 2019 to 30 Apr 2019 till 11:59 PM and Examination to be held on 18 May 2019 for 13 vacancies.